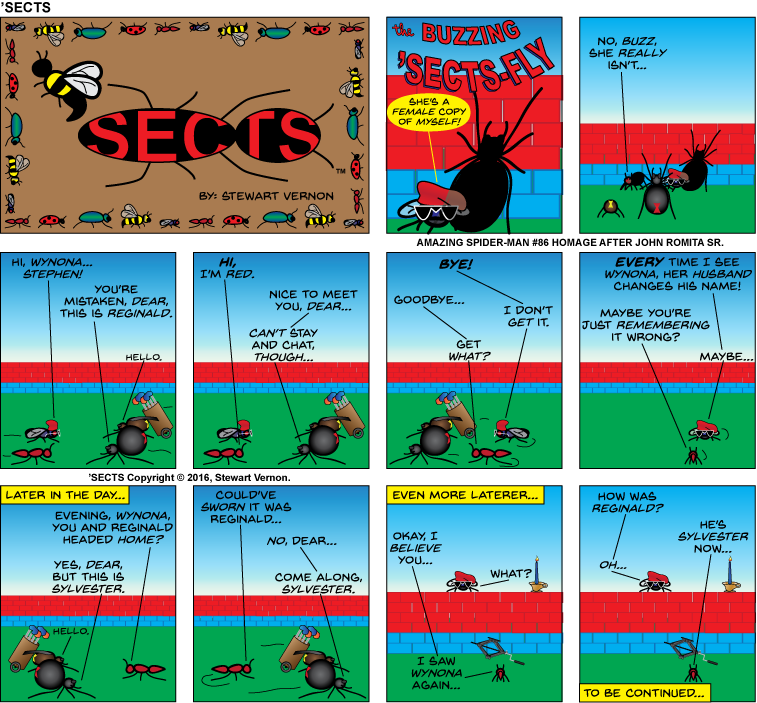 *Another rare serious adventure with the insects for Memorial Day. 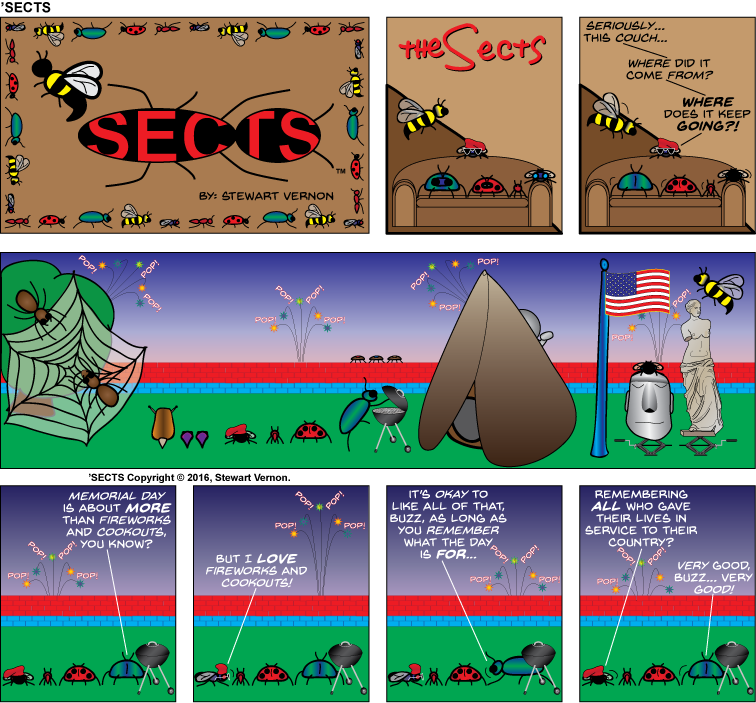 If you are a new follower, please check out what I did for Memorial Day 2015 as well. There’s also a bit of a humor tie-in as both feature Simpsons-homage couch gags for a couch that otherwise doesn’t seem to exist in their cave! Holly, Holly, Holly is a Blue Fairy Here! Apologies to the incomparable and classic Schoolhouse Rock for the title to this article! So, a friend recently asked me to draw a picture for her. I asked if there was anything specific Holly had in mind, and her only request was that I somehow involve blue butterflies. I thought about it for a couple of days, then inspiration struck, and I decided to have a go at the Blue Fairy. Fairies appear in a lot of childhood stories, and the Blue Fairy is perhaps most famous from Disney’s version of Pinocchio. Drawing real people is tricky, especially if it is someone you know and don’t want to disappoint. I really wasn’t overly worried about anything else except how Holly would react to seeing my version of her on the page. Of course my stock in trade leans towards cartoon, without exaggeration, so I strive for imagery that resembles the actual person but is not an exact replication. That leaves me some room for error and embellishment! I was pleased with how this one turned out all around. It doesn’t look exactly like Holly, I took some liberties in the design and of course she isn’t actually a fairy in real life (as far as I know), but she does really have that butterfly tattoo on her foot :). I’m happiest with how the flying butterflies look as well as the larger version of those same butterfly wings for Holly as the Blue Fairy. FYI, it was an eleventh hour decision to encase her in the semi-transparent bubble. 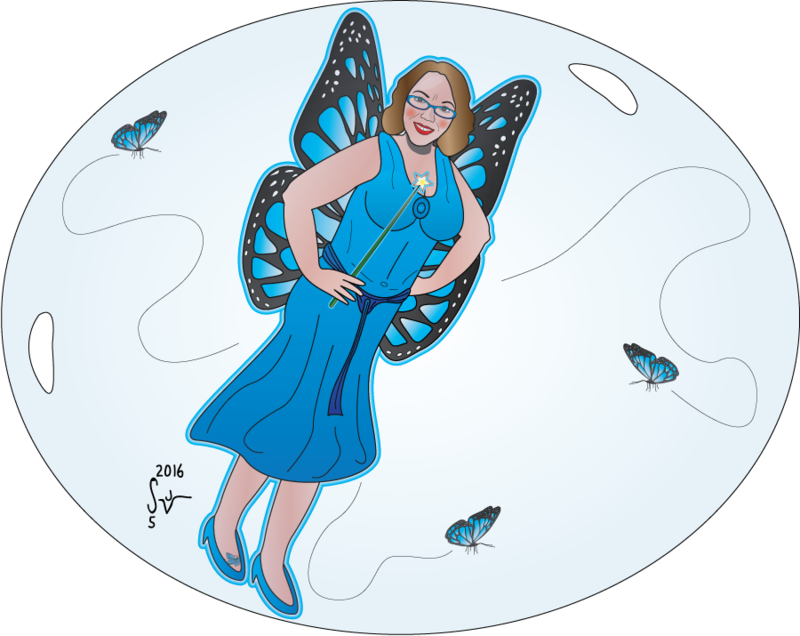 I kept thinking the picture looked empty, but didn’t really want to add a busy background that might distract from the butterflies… and inspiration struck again as I thought of encasing them all inside that bubble. It was never in the plan until it was the plan, and I think it kind of makes the whole thing work. I already know what Holly thinks… but everyone else, please, chime in and let me know what you think of this one. Also, remember, if you’d like an original commission by me or would like to hire me as an Illustrator, please use the Contact page and let me know as much as you can about your request.